Every day, Watch This offers staff recommendations inspired by a new movie coming out that week. This week: With Wild hiking into theaters, we’ve lined up a series of films about people braving the great outdoors. The Grey is usually described as the movie about Liam Neeson fighting wolves, which is misleading, because it implies that The Grey is a wilderness survival yarn, which it isn’t. Set in the snowy wilds of Alaska, Joe Carnahan’s uniquely morose thriller is unequivocally about death and dying, and about characters struggling and ultimately failing to stave off the inevitable—which, in this case, happens to be getting torn apart by hungry wolves. The wolves, for their part, never register as completely real; mostly CGI, they resemble fairy-tale monsters, dark, hairy shapes with white-hot glowing eyes that scamper across the landscape. Neeson plays John Ottway, a severely depressed Irishman who finds himself leading a group of oil workers—some of them played by Dermot Mulroney, Frank Grillo, and Nonso Anozie—after their plane crashes in the middle of nowhere. Aside from Ottway’s wife—who is seen in flashback—and a waitress glimpsed in the opening scene, there are no female characters in the movie; this is a completely male milieu, and the myths that the movie is confronting—about endurance, survival, and death—are inextricably macho. Carnahan—whose career contains as many unrealized or cancelled projects as completed ones—specializes in macho themes, sometimes exaggerating them to cartoonish proportions (as in his underrated take on The A-Team, which also starred Neeson), at other times deconstructing them. 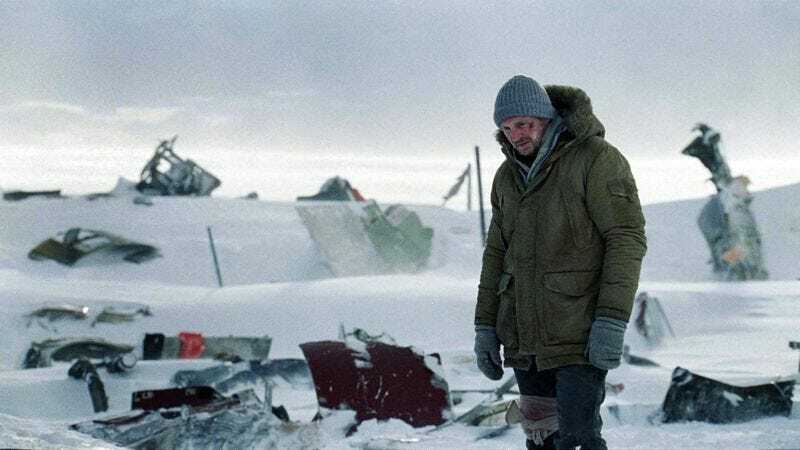 The Grey, his most accomplished film, is a thorough and surprisingly philosophical dismantling of the wilderness survival thriller, and one of the grimmest movies to come out of Hollywood in the last decade. Availability: The Grey can be streamed through Netflix, and is available on DVD and Blu-Ray, which can be obtained from your local video store/library. The film can also be rented or purchased from the major digital services.